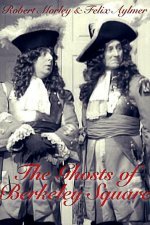 At a court in the afterlife a pair of disgraced 18th century soldiers are sentenced to haunt a mansion. Their sentence will be deemed complete only when the house has received royal visitors. Over the next two centuries, the ghosts try and fail to lure royalty to the mansion but nonetheless find themselves sharing it with a range of colourful characters.